This non-surgical procedure corrects the shape of the nose using Dermal Fillers. Patients who want to change imperfections in their nose but without the risks, costs and downtime associated with surgery. noses that need more definition. You will be awake during the procedure that involves injecting dermal fillers into specific areas of the nose, in accordance with the goals set during your consultation. 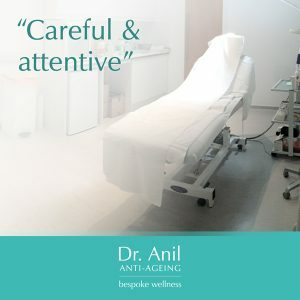 You will be able to view the procedure if you wish and you will be in constant communication with Dr Anil to ensure the desired results are achieved. Specific advice will be provided at the end of the consultation, make-up should be avoided for the remainder of that day and you should avoid touching the nose as much as possible for the first 6 hours post treatment. The results of a nose augmentation last between 8 months and 1 year, however the dermal fillers can be topped up during this time if required.